On Wednesday, Susan Rice, the former National Security Adviser under President Obama, declined a request from Senator Lindsey Graham to testify in a judiciary subcommittee hearing regarding her role in spying on Trump team members. A letter obtained by CNN exclusively from Susan Rice’s lawyer outlines Rice’s reasoning for not appearing. 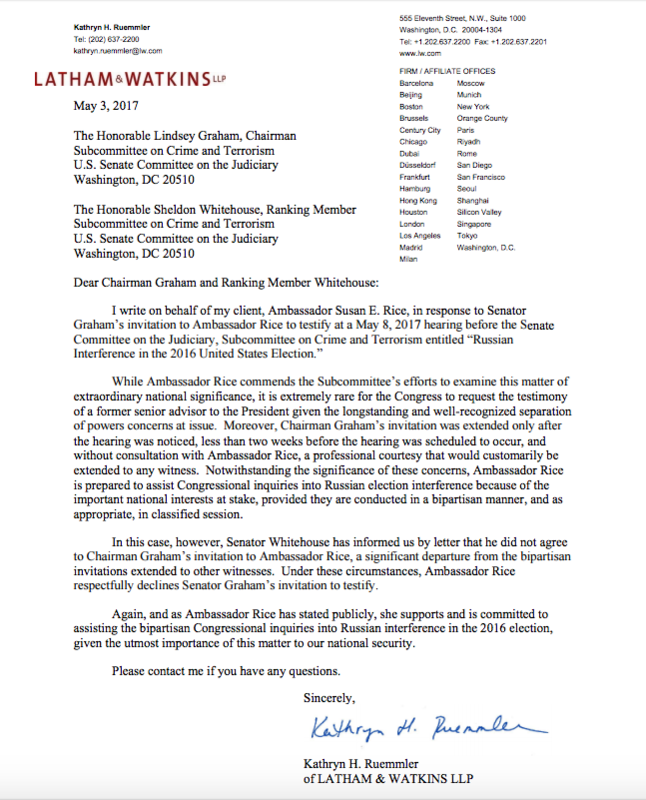 The letter was addressed to Sen. Graham and Sen. Whitehouse. Rice argued the invitation a “diversionary play” to distract attention from the investigation into Russian election interference, including contacts between Trump allies and Russians during the campaign. 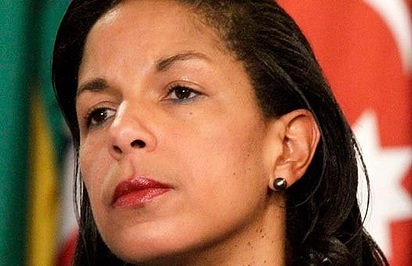 Rice is accused of unmasking the identities of multiple Trump campaign and transition officials for political purposes during and after the 2016 election. On Thursday President Trump tweeted out his disapproval of Rice’s decision not to testify before the Senate committee.